Fleece, Fibre, Felt, Knit, Crochet, make Lace, Dye, Spin & Weave, Wool, Yarn and Knit Kits, Handmade Clothing and Accessories and Jewellery. 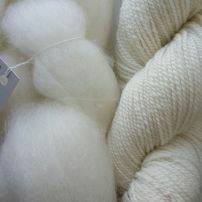 At The Lucky Ewe Studio Door you can find Fleece ~ Fibre ~ Yarn, Kits & Accessories, Needles & Notions. 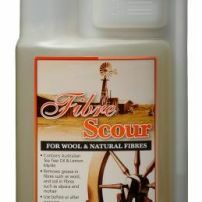 We have Australian Merino Wool, Merino and Possum Wool, Handknits, Yarn for Handknitters and for Crochet, Wool for Needle Felting, Handknitted Beanies, Scarves and Berets, sometimes wool Jumpers, Sweaters and shawls, knitting needles, buttons, wool tops, wool rovings, silk rovings, undyed wool and silk, hand dyed wool and silk. 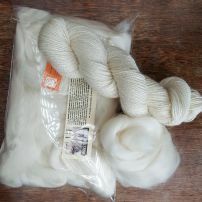 Also lots of yummy hand dyed sock yarn and hand dyed DK for your shawl or sock project.